TO CONTACT US PLEASE PHONE BRIAN ON 07831 421715. CALLS TAKEN BETWEEN 9AM AND 8PM (7 DAYS PER WEEK). Watch our video to get a taste of the work of the rescue. These dogs are real dogs waiting in our kennels now for a loving home. This is their story! to 70070. Help us to save more lives. See our 'How you can Help' page for other ways to donate.Click here! 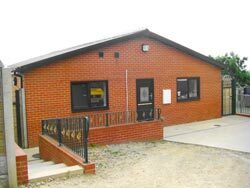 At Whitehall Dog Rescue the dogs are cared for in purpose-built kennels just off the M62 between Leeds and Wakefield, West Yorkshire by our professional staff and a team of volunteers. They are exercised regularly in our 4-acre paddock and receive whatever veterinary treatment is needed.